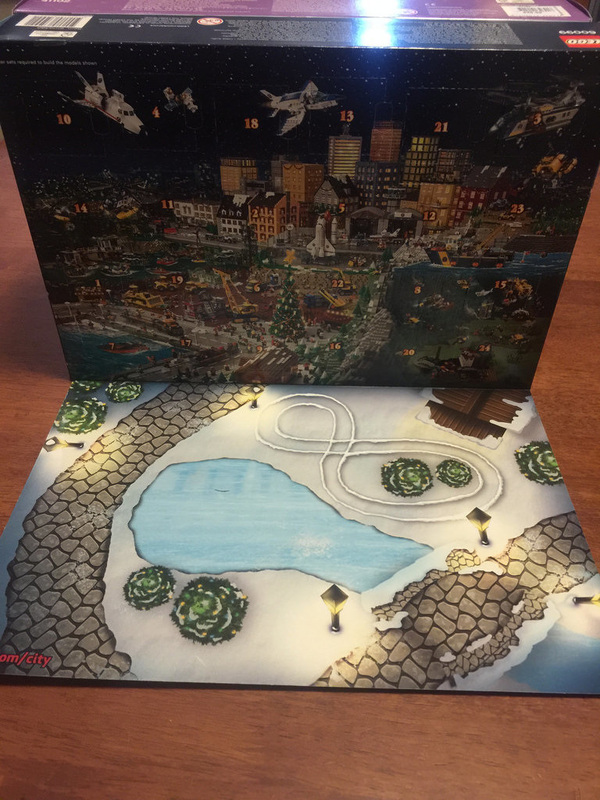 With all three Advent Calendars this year, I’ll be posting a daily update to this post. Each day will have an image of the build, and a quick comment, with a final review at the end. If you want to keep up to date with it, use the link to the right of the page – it will be there for the duration of December. I won’t be posting any pictures at all on social media, so you won’t get it spoilt by me! First day! We’ve got two little remote control cars. These look great! I really like the “toys” that LEGO produces. They look really effective, and fit perfectly on the little track. We’re off to a good start! 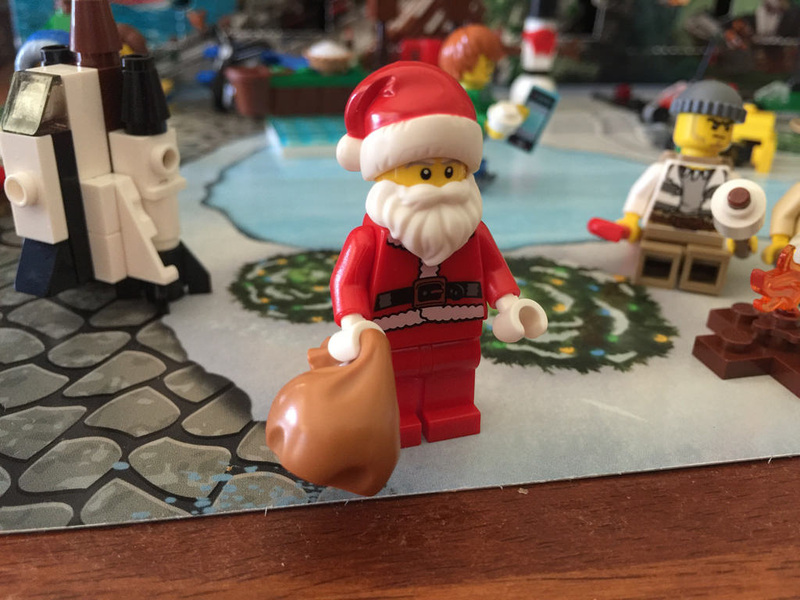 It’s the first minifigure of the calendar! We get a little boy in a blue hoodie holding a camera and a pretzel. It’s a good addition (albeit a rather simple one), but what made it great for me was the spare camera and pretzel! These are some of the best spares I’ve recieved in a set. I’m chuffed! It also adds some playability when combined with the remote control cars – now someone can use them. It’s the edge of an ice-rink with a pie on the wall, and a bucket with ice-skates today. 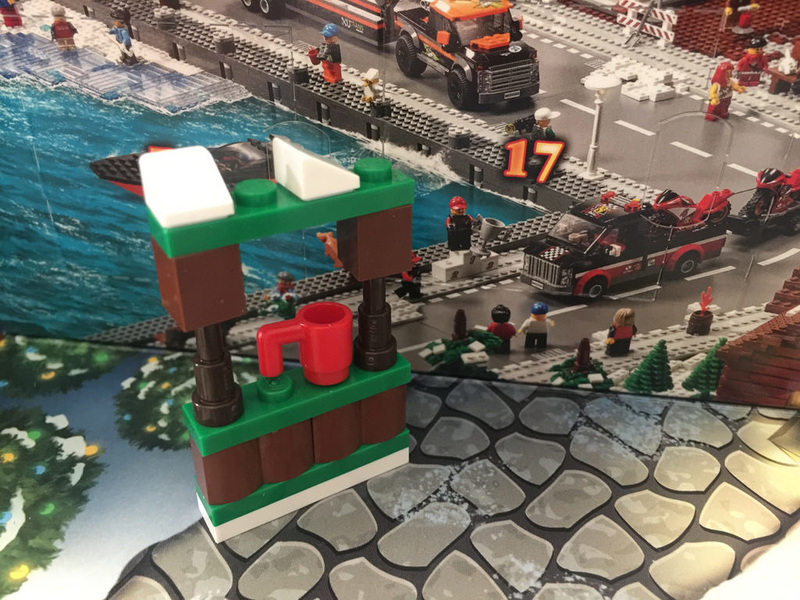 I really like this one – the 1×4 transparent blue tiles are a great addition, and the bucket for the skates is a good use of parts. This is my favourite so far. Day 4 in the City is a very simple coffee (maybe hot chocolate?) stand. It’s not much to look at, but hopefully it will be better combined with something else down the track. Not much to write home about with this one. 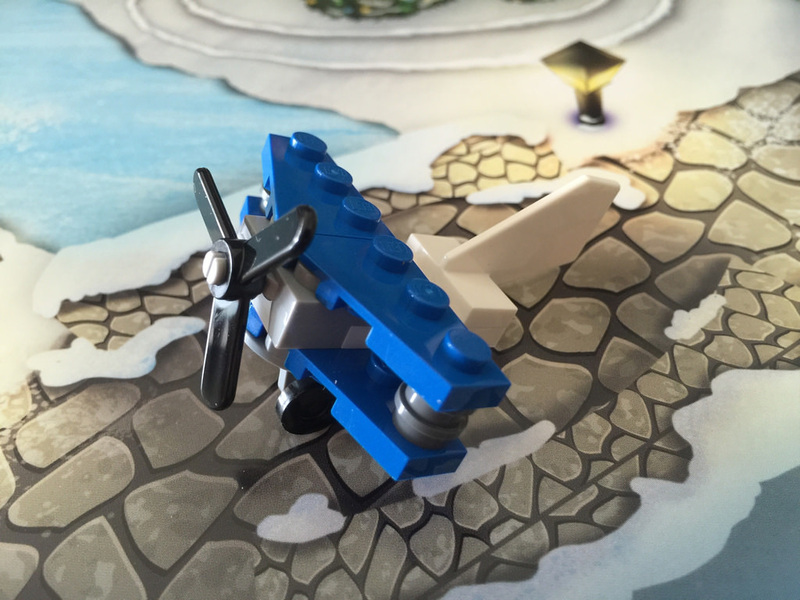 This biplane is a magnificent addition to a Advent Calendar set! It’s relatively big, has some great swooshability, and comes with some interesting parts, namely the propeller, the rear stabiliser, the round 2×2 wheel fork and wheels, and the 2×2 plate with bearing. This was a great one to open! Definitely my favourite so far. Today’s build is a nice little wind-up bulldozer. This is fantastic! 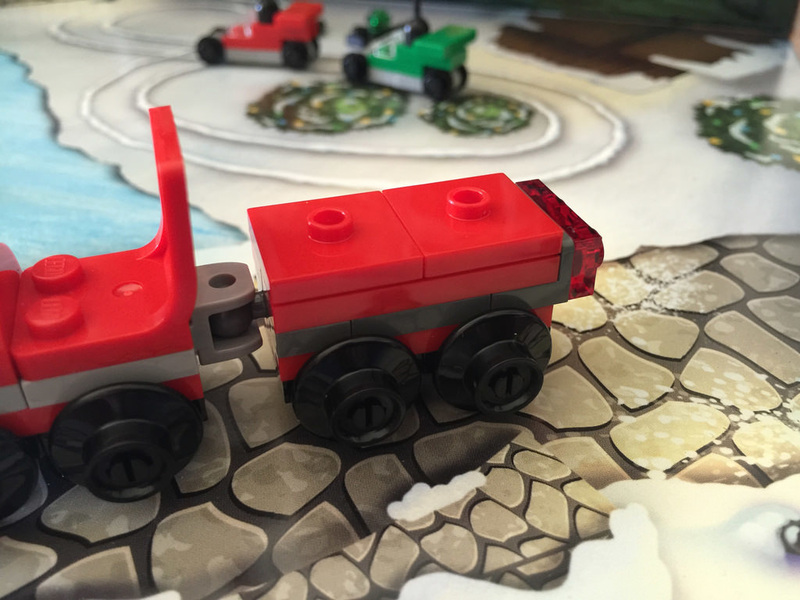 I love the use of the Technic elements as caterpillar tracks, and in particular the wind-up key at the back! Even better is the spare key. These are not found in many sets, and having two of them is a big bonus. I’m really liking the variety of toys in this set so far. They look great and have a good amount of playability. 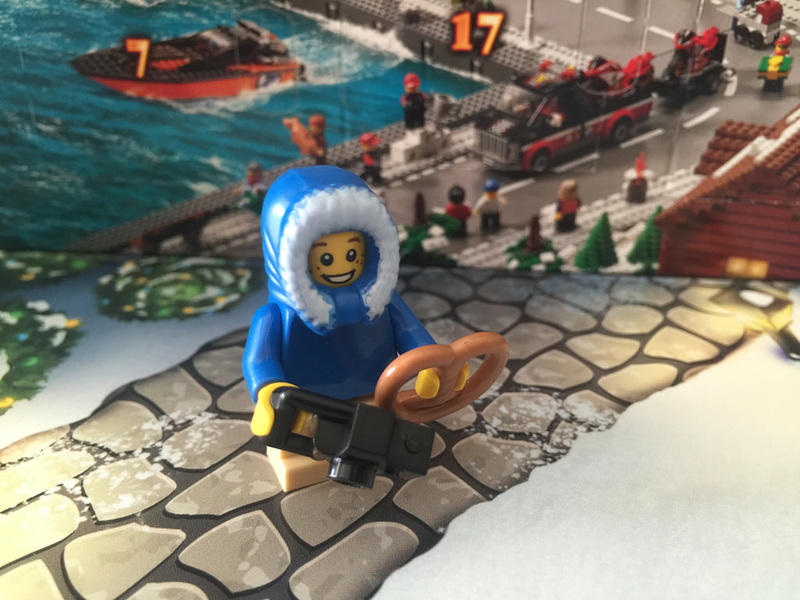 Today we get our second minifigure – a little boy, with a snowball in one hand, and a mobile phone (1×2 tile) in the other. 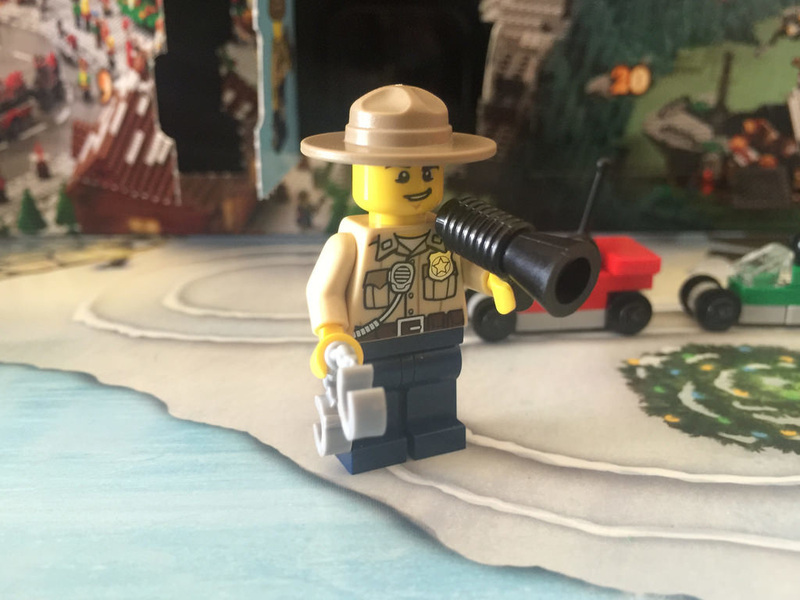 The minifigure is one we’ve seen many times before, and oddly enough, the phone is from a number of Friends sets. I think it’s a strange addition, but I guess every kid has a phone these days, so it fits. 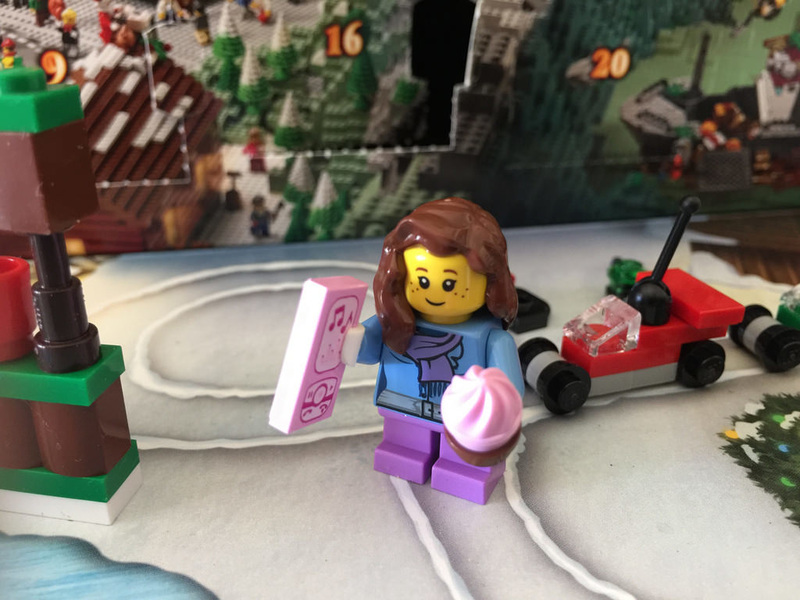 The snowball is a cute idea, but very simple. It’s a little bit of a let down. There is a spare phone tile though, so not all is bad. Today’s City build is a nice little lamp post. I think it’s pretty well suited for this set, but would have preferred the trasparent element to be yellow, instead of clear white. The “wreath” is a nice touch. The base of the lamp post is also pretty rare. 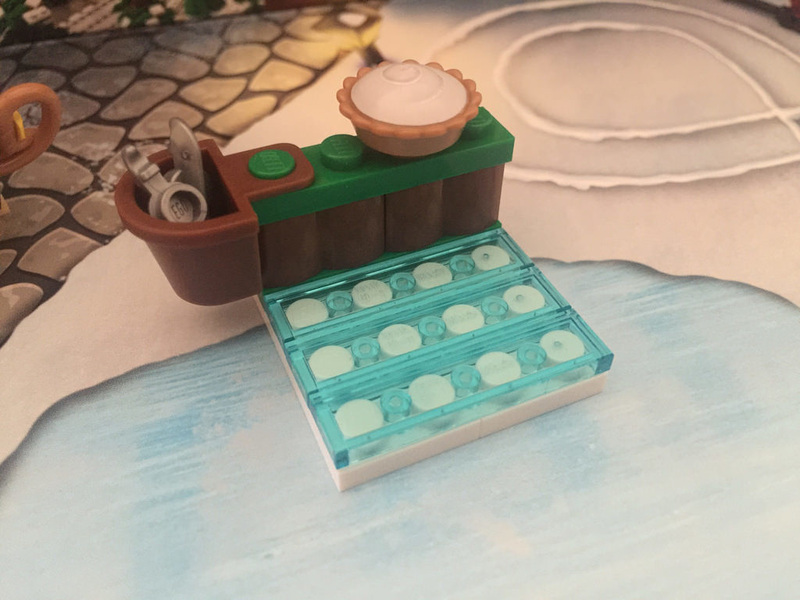 The 2×2 sloped round brick is only seen in seven other sets, and all from different themes, including Scooby-Doo, Star Wars, Dimensions, Ninjago, Ultra Agents, and Classic. It’s quite a mix, and having all of them means a very diverse collection. 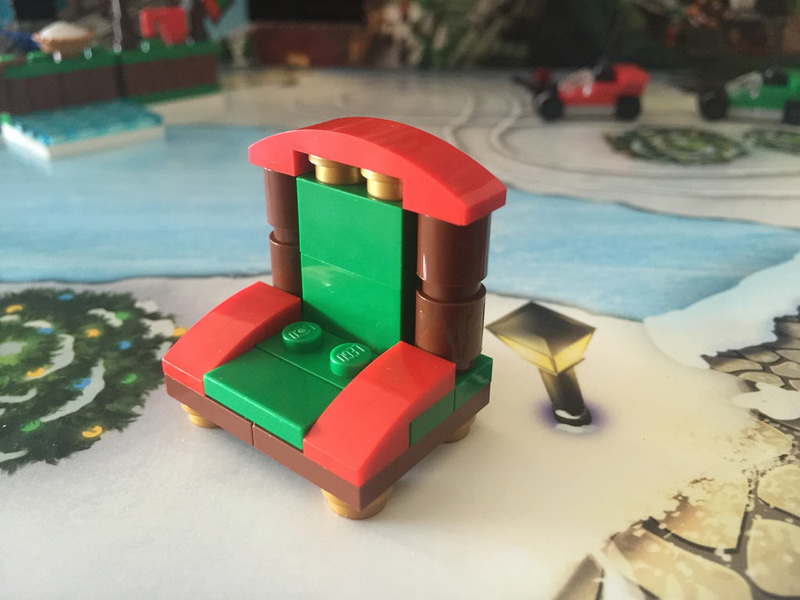 It’s Santa’s chair! I think this looks brilliant – very regal. The brown (wooden) frame looks very well suited with the green and red upholstery, with the gold 1×1 plates giving it some bling. I can’t wait for the big guy to get here so he can sit on it! 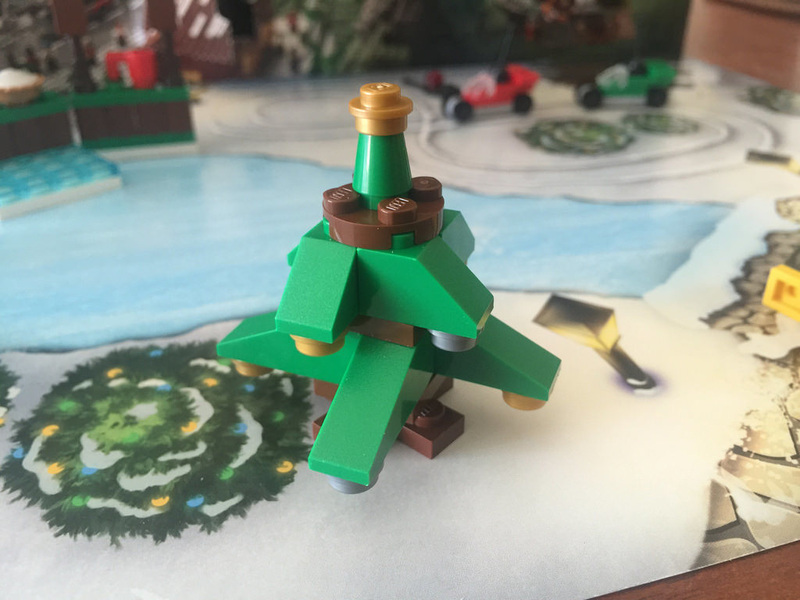 The Advent Calendar Christmas Tree is a pretty standard build, with a couple of differences this year. The decorations of the silver and gold 1×1 plates look very tidy, and the base is a 3×3 cross plate, which has only been in one other set so far, 70751: Temple of Airjitzu. It’s a great use of the element. I’m looking forward to tomorrow’s build! Today’s build looks a little odd. 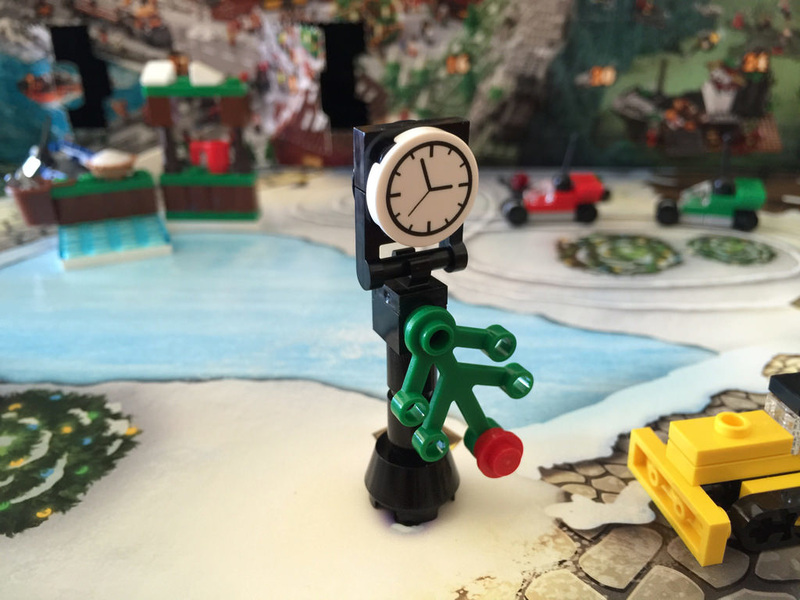 I like the repeat of the pole design with Day 8’s but the clock tower bit looks a little strange. There’s gotta be a better way to do this. We’ve got a couple of presents at the half way mark to go under Day 10’s tree. I really like these. They’re simple, tried and true, and look great under the tree. The green bow on the orange present looks particularly good. It’s pretty common to get a criminal in an advent calendar, and today’s the day for 2015. 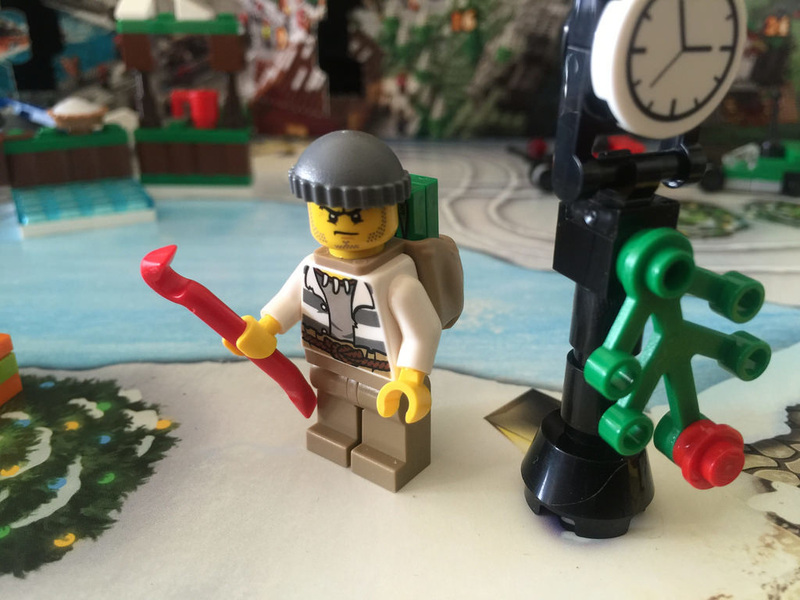 This little guy is well known in City, and it’s great to see he’s been included with a rucksack, loot and crowbar – I certainly don’t have enough of them! 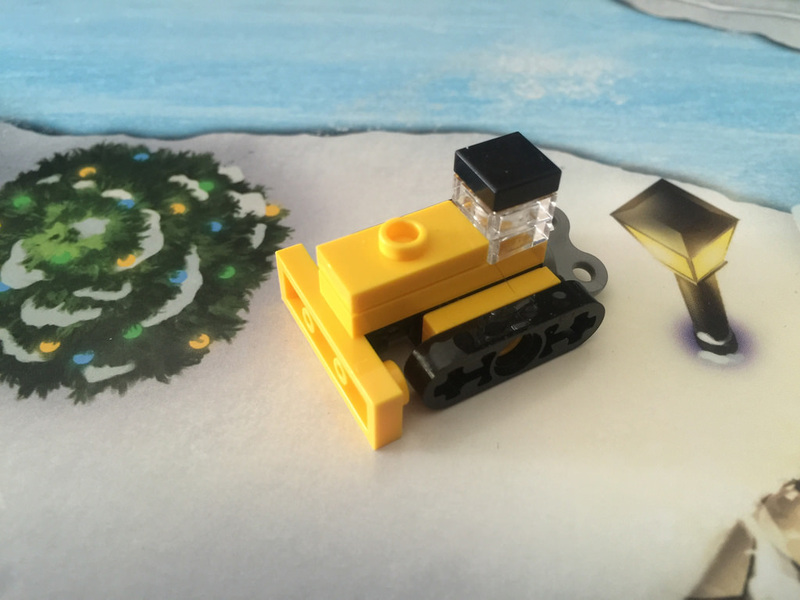 Day 14 is a nice little build of a train locomotive. It’s simple, but looks quite good. I especially like the four train wheels included. There’s a coupling on the back, so I’m expecting a carriage tomorrow. That would be great! Hopefully there’s more than one. As expected, today we get a carriage. It’s more of a cargo bed than anything, and is very simple. It’s a pity the greys don’t match. Either way, it’s a nice addition, and probably a fun one for the kids to enjoy driving around the scene. I wonder if tomorrow we get some cargo? So there’s no cargo today, but a Policeman instead! He comes with a megaphone and a pair of handcuffs (with spares of each). He’s specifically a swamp policeman, so has only been seen in this year’s Swamp Police sets. I’m guessing this calendar is set in the swamp. I really like this little guy. He’s got some great printing on front and back, and a great looking hat. 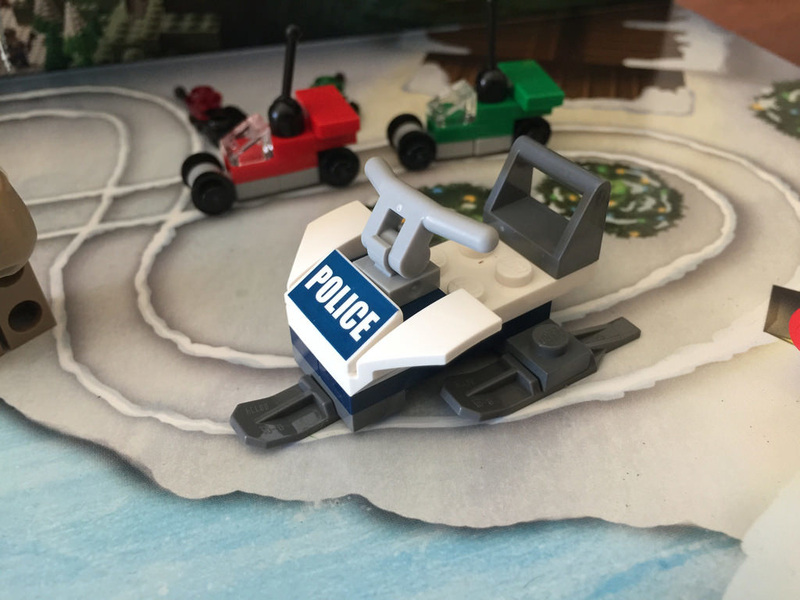 Today’s build is a police snowmobile. It looks pretty great, although I would have preferred a storage box or clips for the cop’s accessories. There’s nowhere to put them! 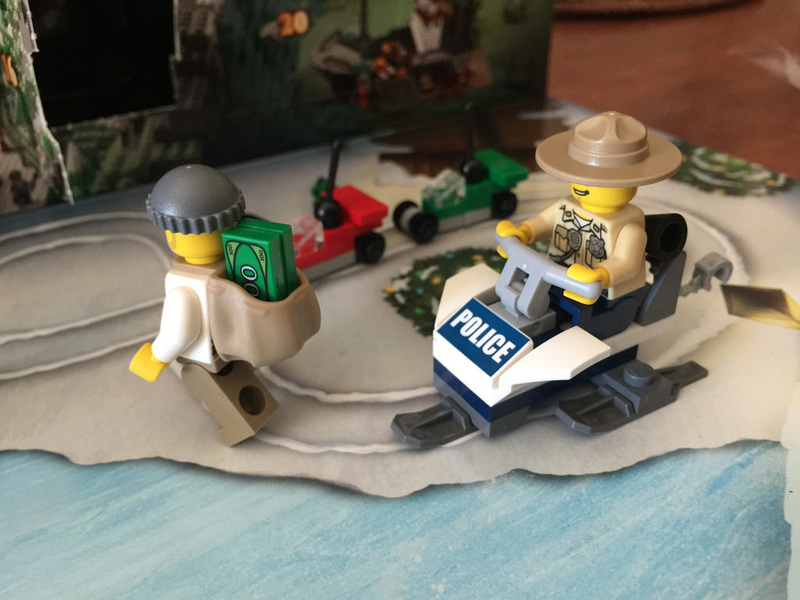 The printed POLICE roof tile has only been seen in three other sets (all Swamp Police sets), so it’s quite rare. Good to see another rare element in the mix. 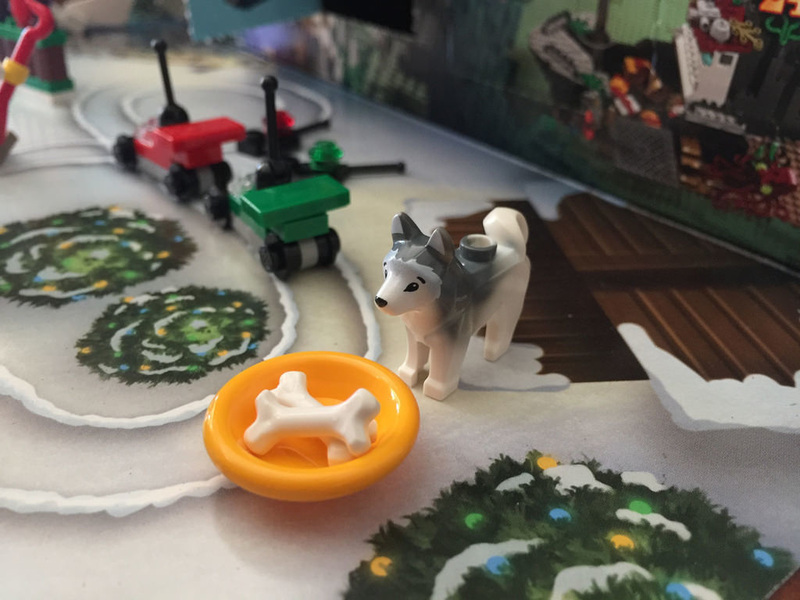 Behind door number 18 is a husky and some food for him! I really love these dogs as each one is individual. The grey paint on them all are different, so yours won’t necessarily look the same as mine! I’ve got a few already, but another is great. 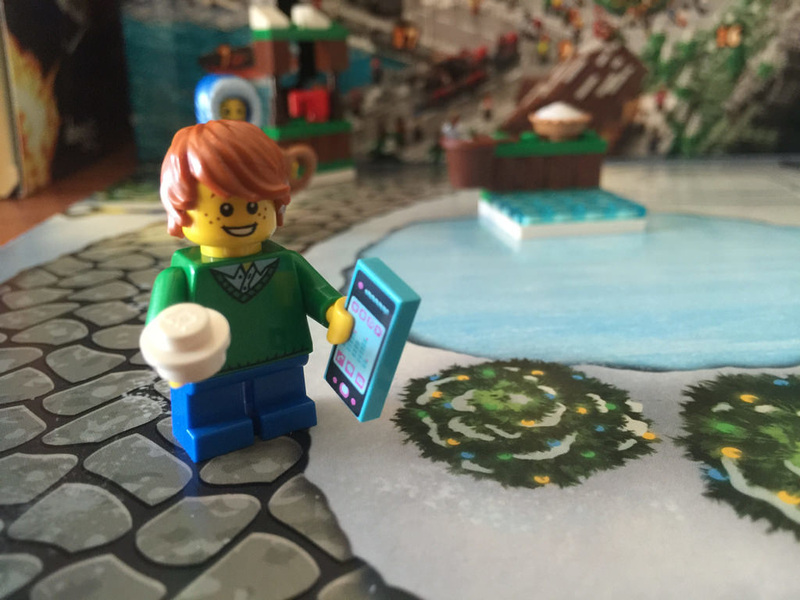 We’re at the tail end of the Advent Calendar, and today we get a little girl with an music player and cupcake. It’s a pretty nice build today for a minifigure. The legs and torso have only been seen in a few sets, and all of them at the top end of the price range, around $100. 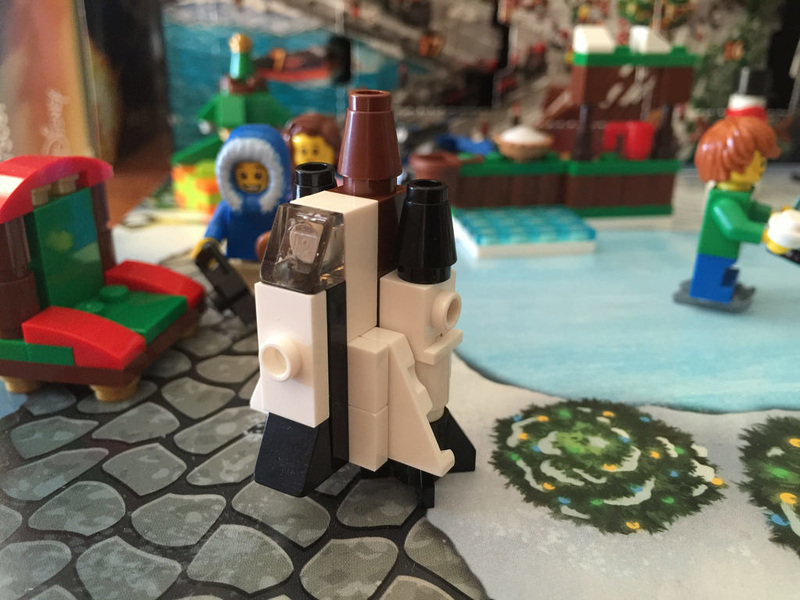 If you’re a LEGO fan that is strapped for cash, you may not have many of these legs. 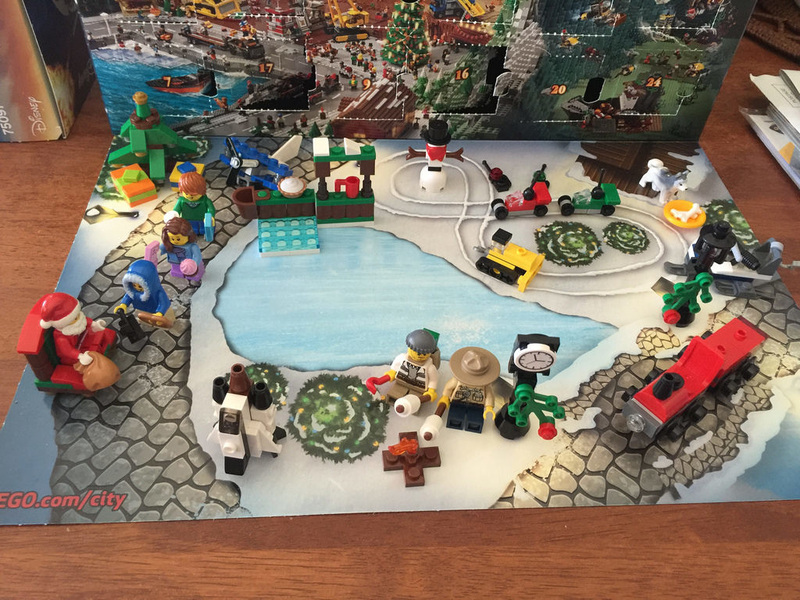 The torso is also just as rare, having only been seen in the Christmas seasonal sets, with the media player being also fairly uncommon. Spares come for each of the accessories, so an added bonus! 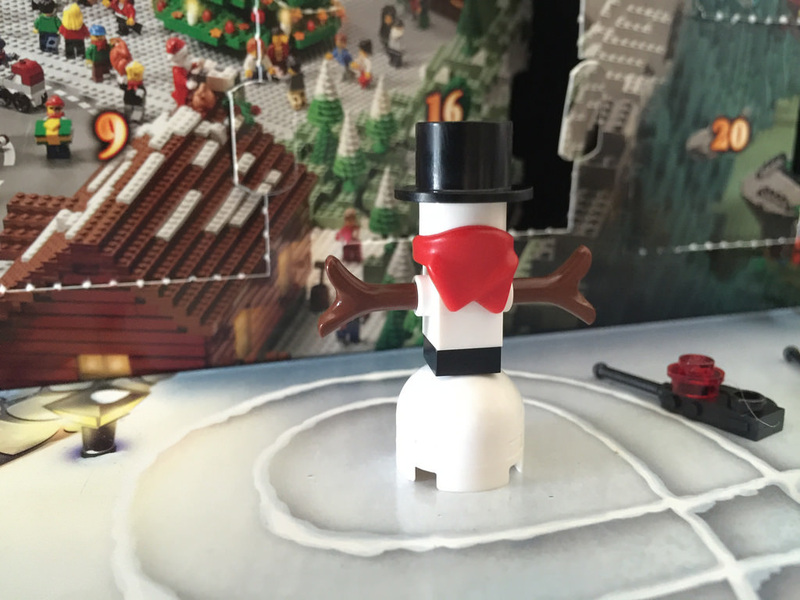 It’s almost a staple build in LEGO Advent Calendars, the snowman. One has been in nearly every iteration, and each is different, but I reckon they’ve come up with a winner this year. It looks neat, and has a bandana, which is a nice colourful touch. I like the belt aspect too – he looks almost fancy with the top hat! I like it. 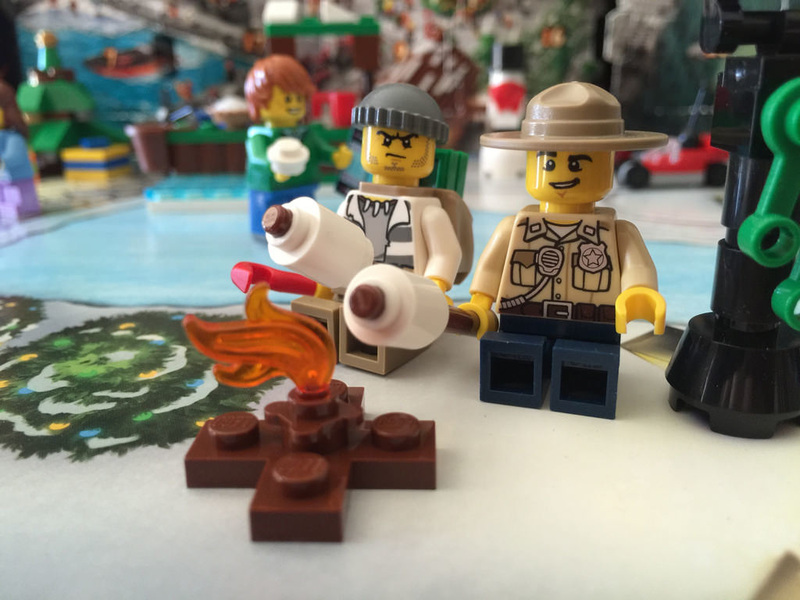 Today we get a campfire and two marshmallows on sticks, perfect for our minifigures to roast! It looks like the policeman and the criminal are good friends now – it’s nice that Christmas can do that. This build includes another of the brown 3×3 cross plates. 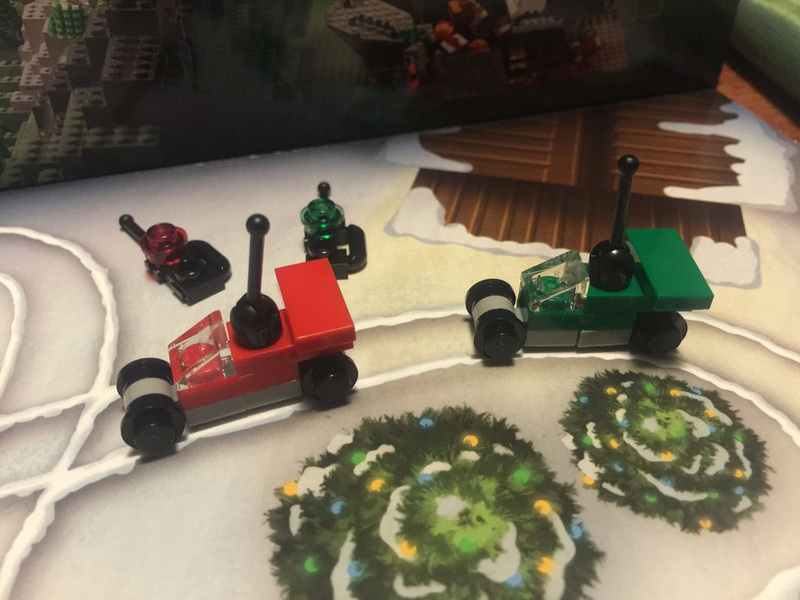 We first came across these in Day 10’s Christmas tree. I think it suits a campfire pretty nicely! 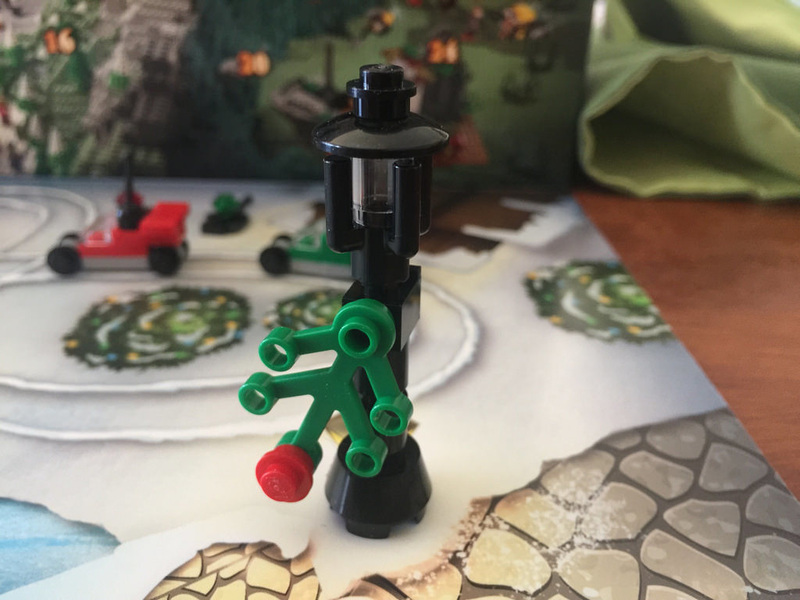 At first, I had no idea what this was meant to be, but as the door to Day 22 is just below the clue, I got it pretty quick. 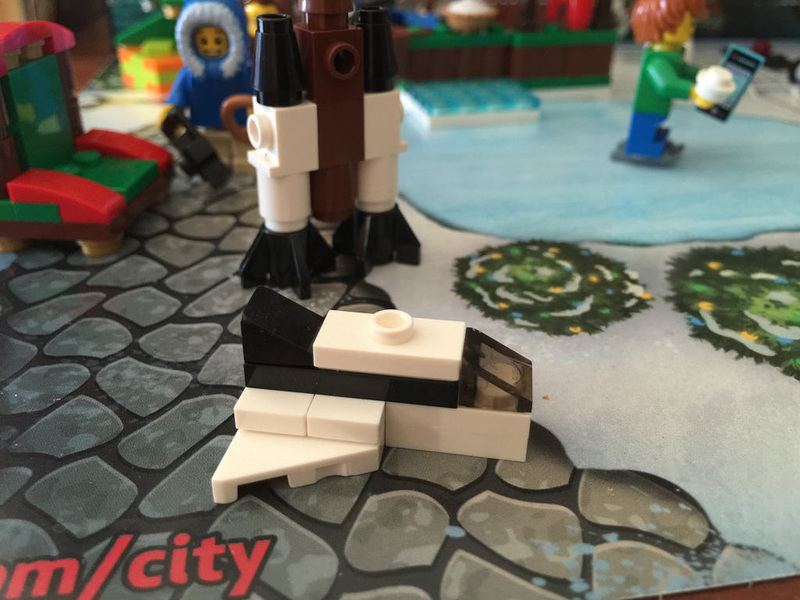 Day 22 (and I’m assuming Day 23) is a mini version of the shuttle from 60080: Spaceport, released this year in the Space subtheme of City. I am pretty excited to build tomorrow’s now, and this one looks great! 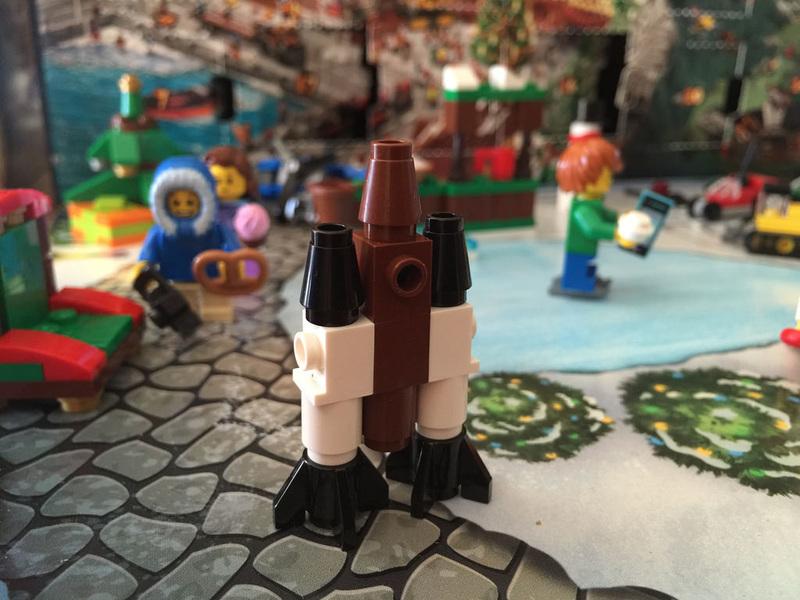 The flared rocket bases are pretty rare, having only been in three other sets, and before their appearance in 2013, they hadn’t been seen since 2001, so it is a bonus to get two. As I guessed (der), today we get the Space Shuttle half of the two day combo build. I really like it! It’s instantly recognisable, and looks brilliant attached to the boosters and fuel tank. Even better is the playability, as it’s able to be flown around, and also separate like the real thing does. It will add so much more joy to kids and adults. It looks great, and is a great “toy” for the minifigures, although it’s massive in comparison. 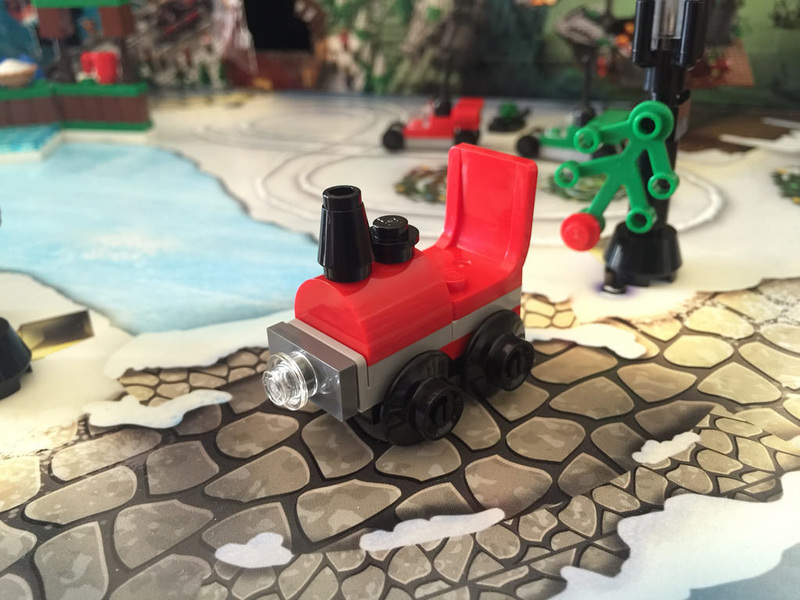 It’s not overly Christmas, but I don’t care as it’s also extremely clever for LEGO to tie it back to another set. Tomorrow is the big day, so today’s final build for the calendar is the big man himself, Santa! 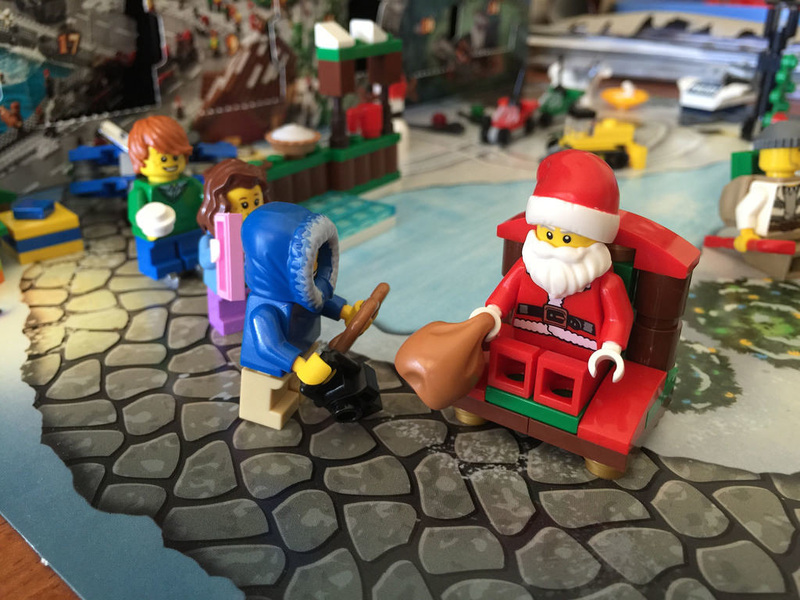 He looks great, and is all ready for the kids – they’ve been lining up for days! The special elements of this build are the torso, and hat. 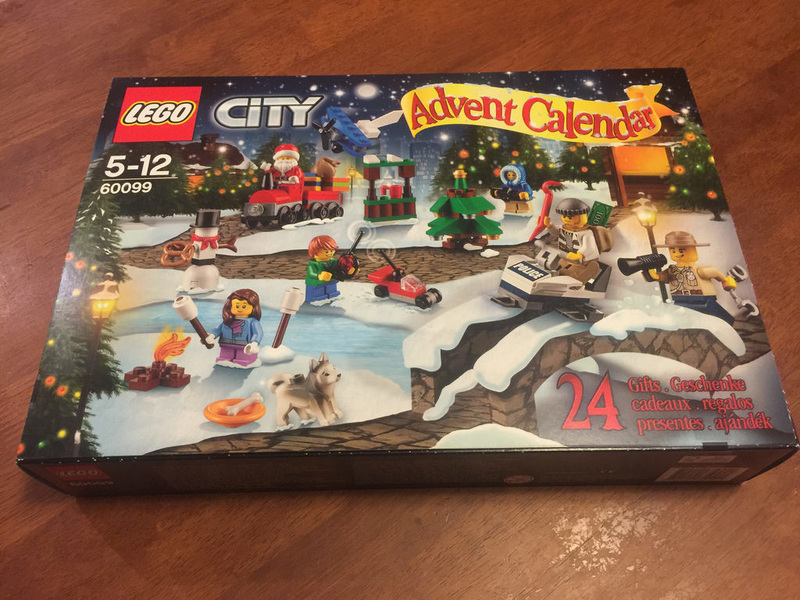 They’ve only been in the Christmas Seasonal sets, or the City Advent Calendars for the last few years, so they are still reasonably rare. We’re done! It’s a shame that it has to end, but end it has. It’s been so much fun, and I’m already looking forward to next year. Because I’ve covered my usual review process in many of the daily posts throughout December, I’ll be outlining the best and worst days in my opinion, and also give a final score. It’s a tie with Day 5’s plane and the combo Day 22 and 23 build of the Space Shuttle. They are great models, and fun to swoosh around. I think it might have to be Day 1’s remote control cars. We’ve seen similar builds before, and it’s the most simple. Sure they look good, but so does everything! It’s a shame to have to choose one, but that’s the rules. I don’t set them – oh, wait, yes I do. Some good parts – not overly exciting, or completely unique, but still good. The toys are great fun to swoosh around, but there isn’t that much else. It is all very simple, but tricky enough for kids to get a challenge and a lot of enjoyment. I always like building City stuff and this is no exception. They look great, and the toys are perfect for a toy store modular down the track. Some good parts for the cost, but collectibility is where it’s at. Advent Calendars only come round once a year! All done! Merry Christmas everyone. 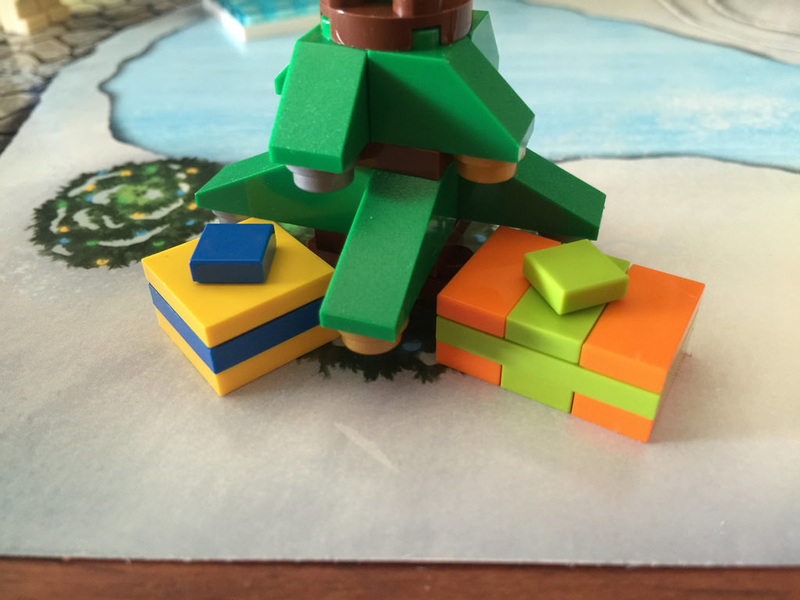 May your tree have lots of LEGO underneath it!